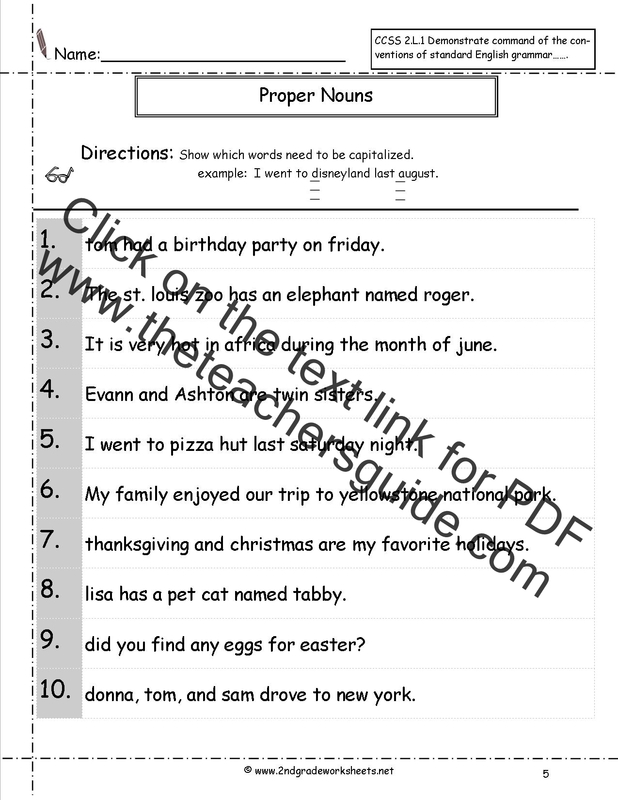 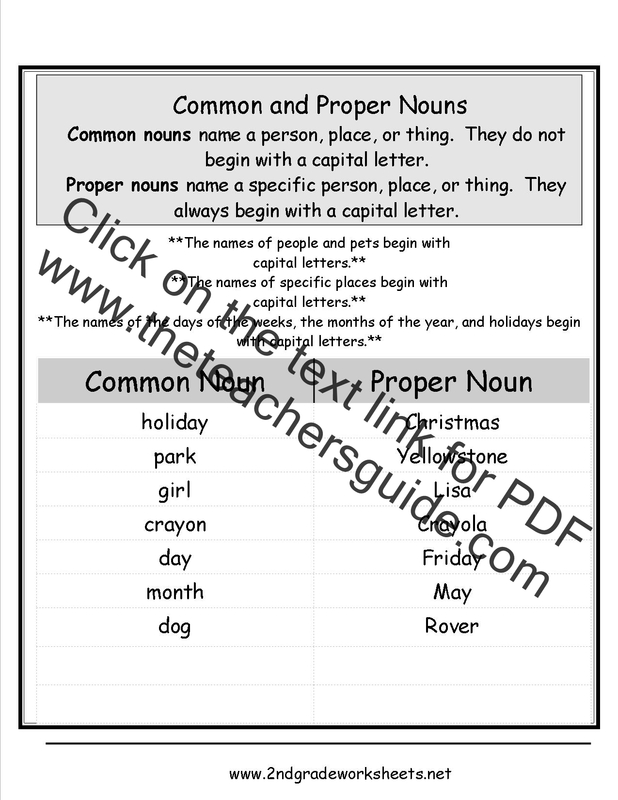 Common Core State Standards: 1.L.1.b, 2.L.2.a Capitalize holidays, product names, and geographic names. 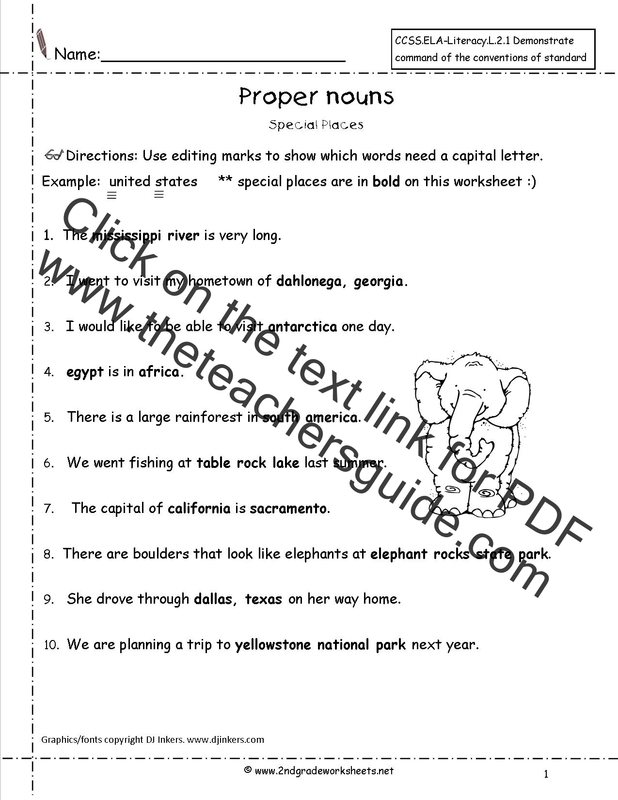 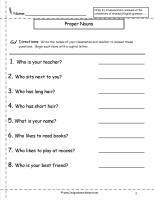 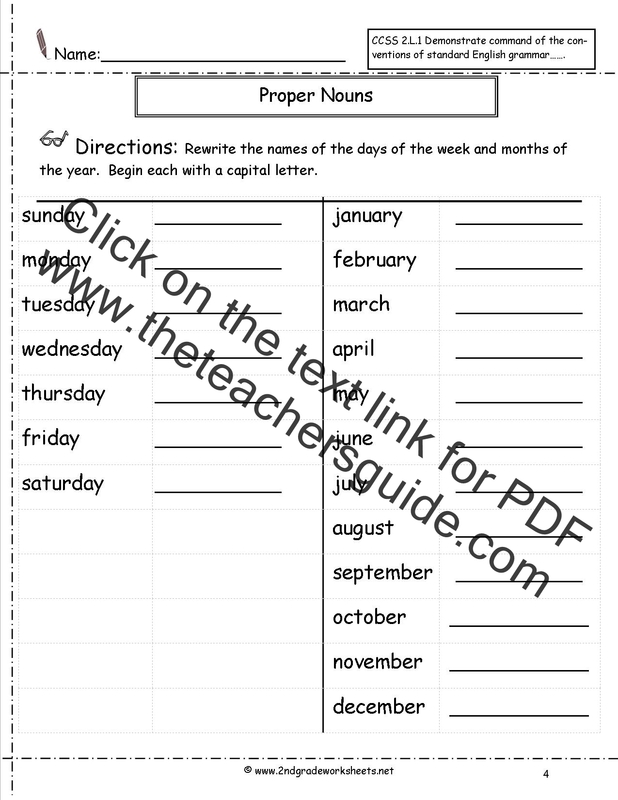 a.Capitalize holidays, product names, and geographic names. 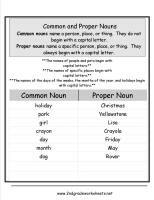 Explanation of common and proper nouns. 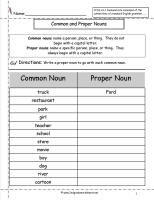 Students come up with proper nouns to match the common nouns. 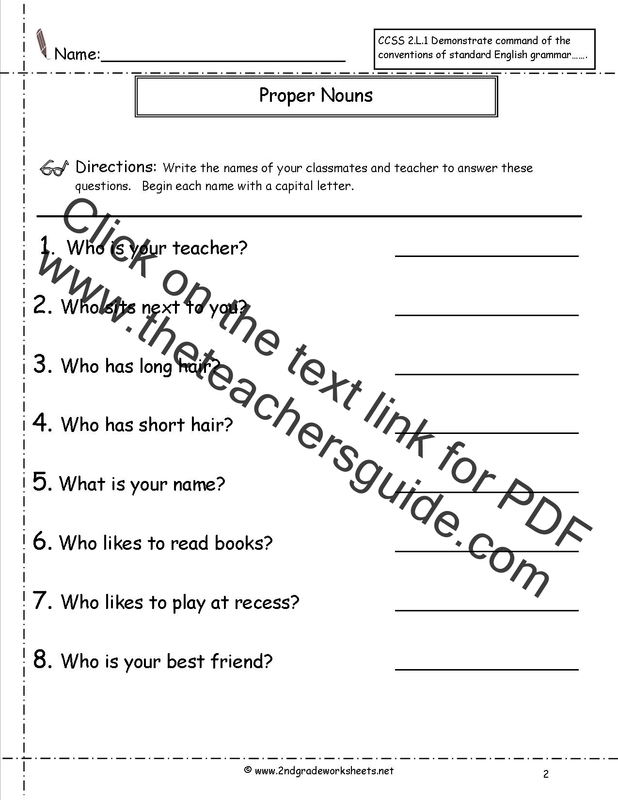 Students come up with proper nouns to answer questions. 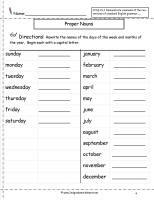 Students write days of the week and months of the year with capital letters. 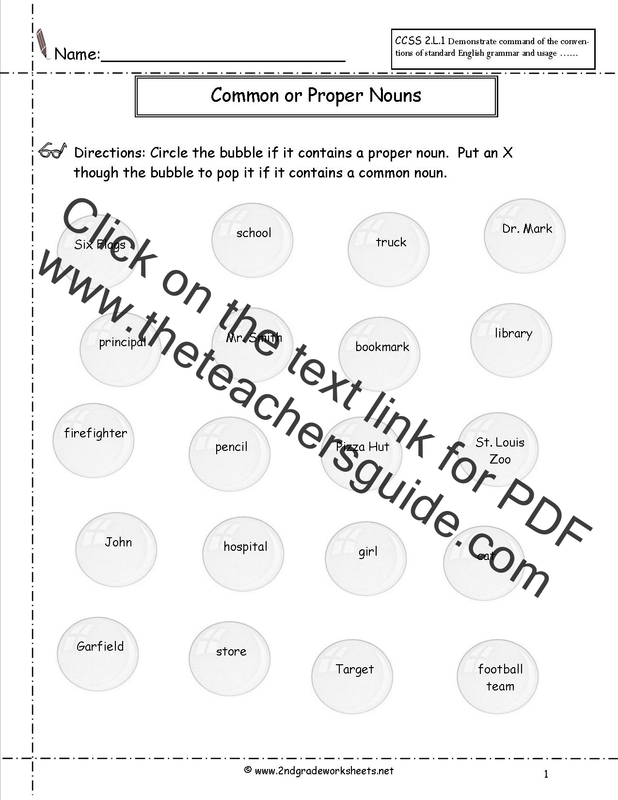 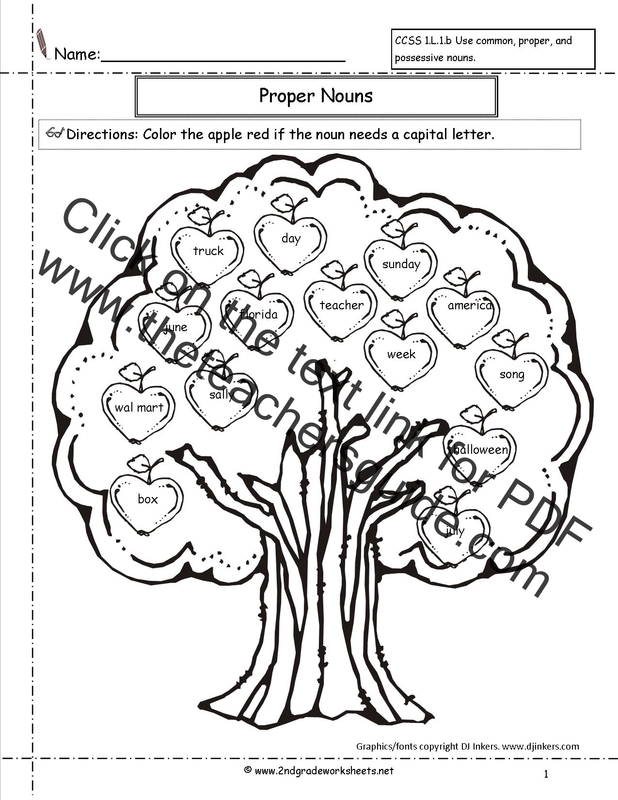 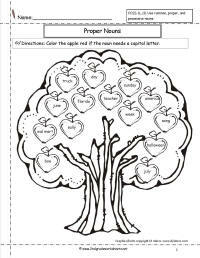 Students show which nouns are proper nouns and need capital letters. 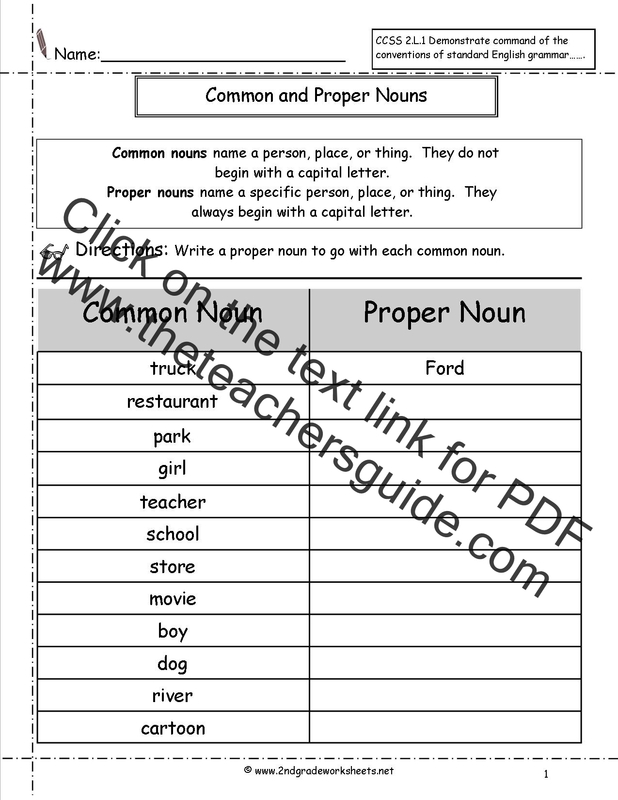 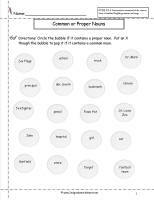 Students determine if nouns are common or proper.